At some point, HBO realized that it’s easy to win awards by getting famous actors to play controversial people from recent history, like when Al Pacino played Jack Kevorkian in You Don’t Know Jack or when Al Pacino played Phil Spector in Phil Spector. 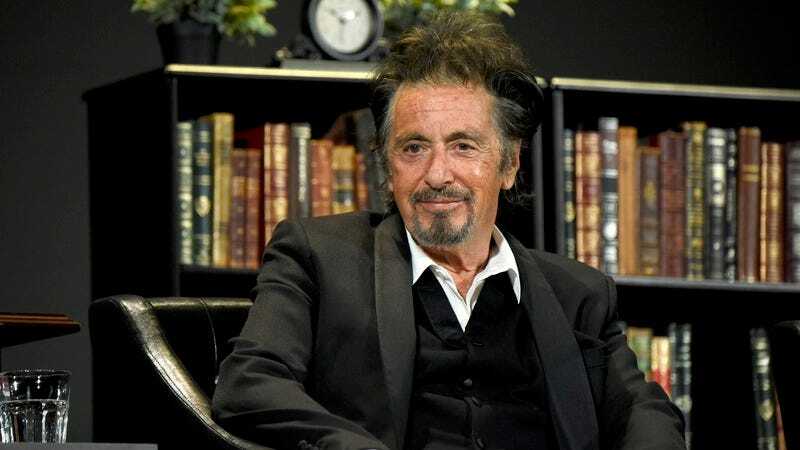 HBO’s latest film in this very specific genre is a biopic about former Penn State football coach Joe Paterno, and since there’s only one actor who can pull off playing an older man in a dark situation, the premium cable network has enlisted Al Pacino to star as Paterno. The yet-untitled project will be directed by You Don’t Know Jack’s Barry Levinson, and Variety says the film will focus on how Paterno got “embroiled” in assistant coach Jerry Sandusky’s “sexual abuse scandal.” For those who don’t recall, Sandusky had been sexually abusing young boys for many years, and a report was released shortly after he was convicted that confirmed that Paterno—among many other higher-ups at Penn State—knew what Sandusky was doing and chose to cover it up. Levinson and Pacino’s HBO movie will presumably focus more on Paterno’s career as a child-molestation enabler than as a football coach.